Households with smart devices not only save energy, but it can also save you money. HOUSTON, Texas (KTRK) -- Buying a new security system doesn't mean you have to break the bank. Eyewitness News reporter Patricia Lopez spoke to experts about some options that are easy and affordable and will keep you and your family safe while you are home and away. The Ring Wi-Fi video doorbell sold on Amazon has more than 19,000 reviews averaging four stars. It costs $199. It sends out a push notification whenever someone rings your doorbell or walks within range of the motion sensor. The doorbell lets you use your smartphone or tablet to see and speak with visitors, whether you are at home or away. The Sky Bell HD got great marks from CNET.com. It costs $199. It works much like the Ring video doorbell. It is high-definition and has on-demand clip recording and free video storage. You can integrate it with Amazon's Alexa skills kit and Google/Alphabet's Nest. If you want professional monitoring, check out the Vivint doorbell camera. The company will professionally install the $199 unit. You will have to commit to a contract, but it includes customer service. 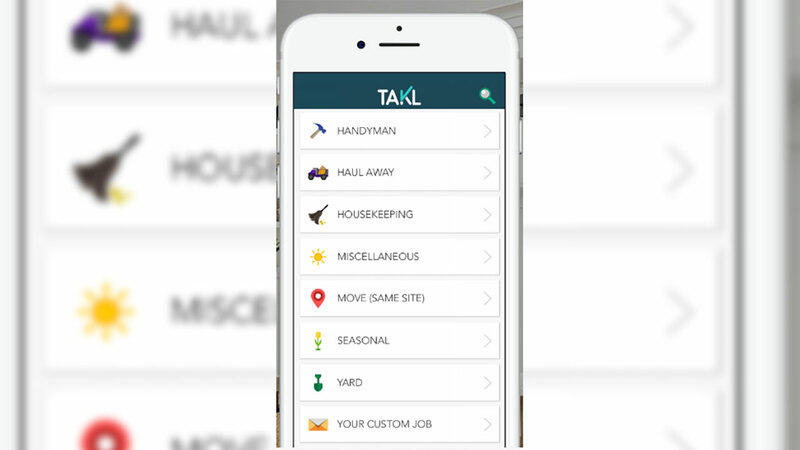 Takl, an app that connects users with providers to perform small jobs and chores around the house, has officially launched in the Houston area.